Anna Lee Davis, age 90, of Knoxville passed away Thursday morning, December 27, 2018 at her home surrounded by her family. Anna Lee was a member First Christian Church and CWF. She was a long-time member of the Knoxville Women's Club. She was owner of Anna Lee's Hearthside Restaurant in Dandridge for many years. 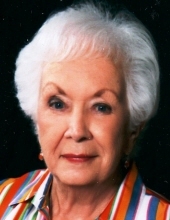 Anna Lee is preceded in death by her husband, Spencer Davis Sr. (Pearl Harbor survivor) who passed away in 1993; son, Spencer Davis II; parents, Roy Jones and Bertha Wendell and husband, Jack; grandparents, Spurgeon and Nancy Fee. She is survived by her granddaughters, Gina Myers of Knoxville, JoAnna Neal and husband Kevin of Lenoir City; great granddaughters, Meleah and Jaida Myers, Gracie and Kylee Trego; special niece and nephew, Becky Gibson and Rhett Davis; special family friend, Deanne Kirkland. Family and friends will gather at 11 a.m. on Monday, December 31st at Woodlawn Cemetery for graveside service with Rev. Coy Jo Bays officiating. Click Funeral Home, 9020 Middlebrook Pike is serving the family of Anna Lee Davis. To send flowers or a remembrance gift to the family of Anna Lee Davis, please visit our Tribute Store. "Email Address" would like to share the life celebration of Anna Lee Davis. Click on the "link" to go to share a favorite memory or leave a condolence message for the family.